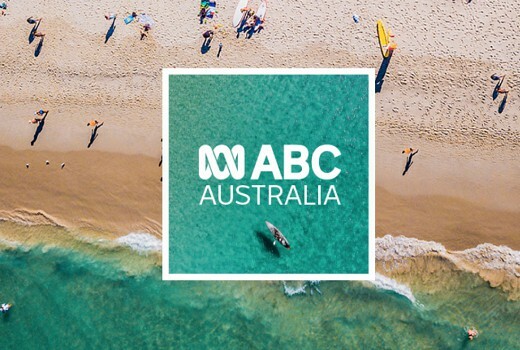 ABC’s Australia Plus channel will be rebranded as ABC Australia for audiences across Asia and the Pacific from July 1. Previously known as Australia Network), it will continue to offer Australian news, current affairs, entertainment and cultural programs. The rebranding follows the lifting of the geo-block on the ABC News live streaming video on the ABC website and YouTube channels. • Agenda-setting programs, such as The World, The Drum and The Business. `Should have called it ABC International as it not able to be viewed in Australia? To avoid confusion with ABC America and other “ABC”s in their coverage area. It used to be called ABC Asia Pacific (2002-2006). I’m glad this will spell the demise of that awful A+ logo. It looks like one of those children’s school projects where you make a stamp out of half a potato. The Australia Network logo it replaced was much classier. And good the channel will be improved again too, ofc, after the LNP govt tried to crush it.